What parent hasn’t sat through the latest animated film knowing that the oh-so-welcome double entendres were flying over the heads of the entranced youngster giggling in the next seat? There was a time when the idea of going to yet another animated film with your toddler was enough to send you screaming for the hills. But you’d be hard-pressed to find parents complaining these days. Animation has evolved. Not just the technology—the storytelling as well. It’s increasingly more engaging, sophisticated and well, twisted like the parents of temper tantrum-prone four-year-olds. When Pixar burst onto the scene some 30 years ago, parents welcomed animation that was witty, mature, and innovatively artistic with a collective sigh of relief. While the jokes and mature innuendos—ever-present hallmarks of Pixar films since the company’s inception—are way beyond the grasp of our children, they are not lost upon culture-forsaken mothers and fathers of toddlers (you know who you are). For a little culture with your animation, check out the Sun Valley Summer Symphony’s Pixar in Concert. 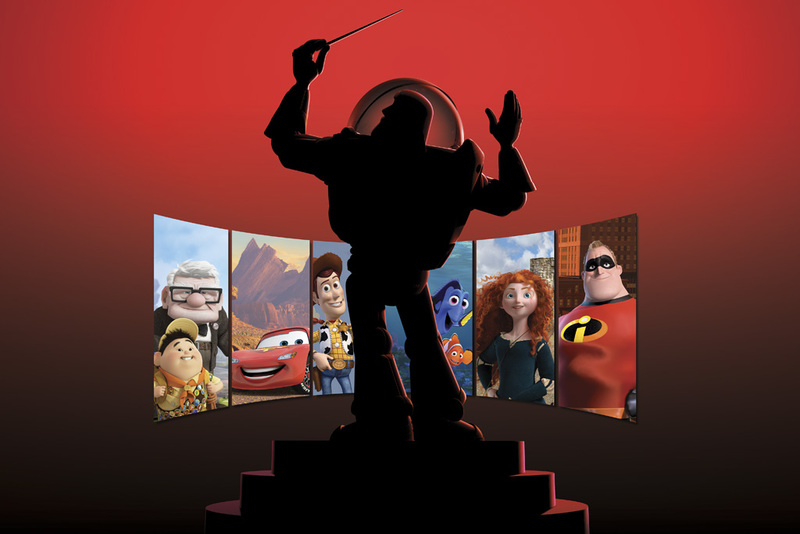 It may seem an unlikely pairing, but attendees—whether 8, 80, or somewhere in between—at the August 13 performance will enjoy visually stunning film clips from Pixar’s beloved animated treasures, including the Toy Story trilogy, Cars, Finding Nemo, The Incredibles, WALL•E, Up, Brave, and more, paired with each scene’s memorable score, performed live by the Symphony’s world-class musicians. And for the first time ever, the Symphony will have two screens at play. The lawn screen, of course, will show the films, but there will also be a screen inside the Pavilion, hanging above the orchestra. Many of us may not notice music’s role in animation. Yet as with any film, music in animation is absolutely essential to establishing tone. Think back (way back) to the good-ole Looney Tunes days. In those early days of the art form dominated by Warner Bros—known as “the golden age of animation”—there were no jokes that quietly soared over the heads of wide-eyed 5- year-olds; parents subjected to Looney Tunes didn’t even know they could demand clever repartée between characters. Animation in those days was music and visuals (with a splash of rampage and a dash of ruckus). During the ink-and-paint times before CGI (computer generated imagery) and the genius of Pixar, it was music that provided the drama and heightened the emotion. Music built up the dramatic crescendo and created the suspense, whether the gentle tinkling of the piano keys as Sylvester crept up on Tweety Bird or the big, bombastic sounds that accompanied the boorish Bullwinkle. Times changed and dialogue grew in importance but music’s role has remained vital. Pixar was an upstart from the beginning, with its location in Emeryville, California, far from the glare of Hollywood. George Lucas started the studio in 1979 as an offshoot of Lucasfilm. Apple founder Steve Jobs came along in 1986 and the fledging studio came into its own with rapid-fire releases of animated films that delighted young viewers but seemed to be created with adults in mind. Both Finding Nemo and Toy Story 3 are among the 50 highest-grossing films of all time, and all of Pixar’s films are among the 50 highest-grossing animated films, with Toy Story 3 being the second all-time highest, just behind Disney’s Frozen, grossing over $1 billion worldwide. From upstart to Hollywood royalty, the studio has earned 27 Academy Awards®, seven Golden Globe Awards, and 11 Grammy Awards, among many other awards and acknowledgments. Whether or not you have children, put Pixar in Concert on your list this summer. See how two forms of art are inextricably linked and support one another for full dramatic effect. The scores performed, backed by the expertise and artistry of the world-class Sun Valley Summer Symphony orchestra, make it a don’t-miss performance of the summer season. Like many of us who wake up and find ourselves turning 30, the Sun Valley Summer Symphony is claiming its 30th year with a reminder that 30 can be young, vibrant, and progressive—not a decade consumed by mortgages, tuition, and IRAs. While mature as an organization, the SVSS is anything but stodgy. If you haven’t noticed, or haven’t attended many summer concerts, this is not your grandmother’s symphony. In addition to Pixar in Concert, this summer’s line-up features the inspired Cuban Jazz sounds of the Grammy-nominated Tiempo Libre and the category-shattering Time for Three trio that blends classical with bluegrass, rock, country, and western genres. The symphony is hip, relevant, and forward thinking. 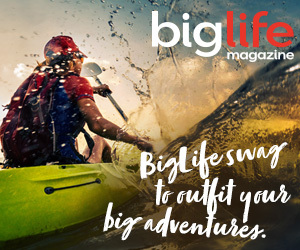 Just like you if you’d lose those mom jeans and the dad clogs.